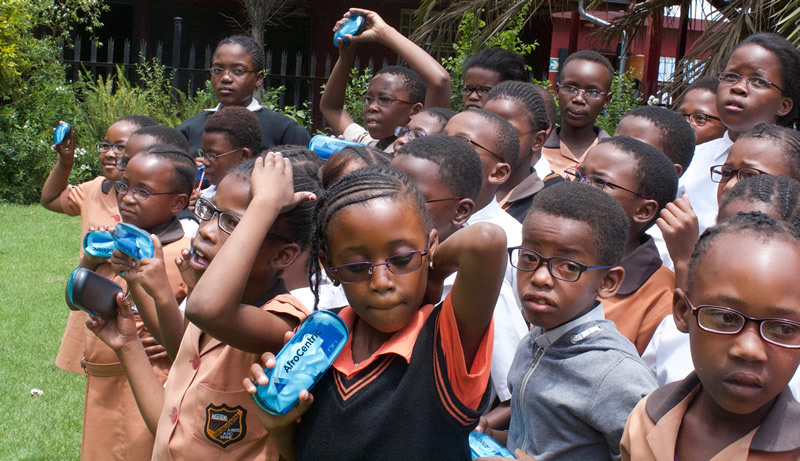 Alexandra, November 14, 2017 – AfroCentric Group and Vision-4-Change handed over prescription glasses to more than 40 learners of Emfundisweni Primary School in Alexandra. The aim of this initiative is to help enhance their vision and achieve their academic potential. Palesa Modisane from AfroCentric Group and Cyndy Mokoena from Vision 4 Change and at the back – Representative from the Department of Education District 9. “Good vision is key to a child’s success in school and overall well-being. 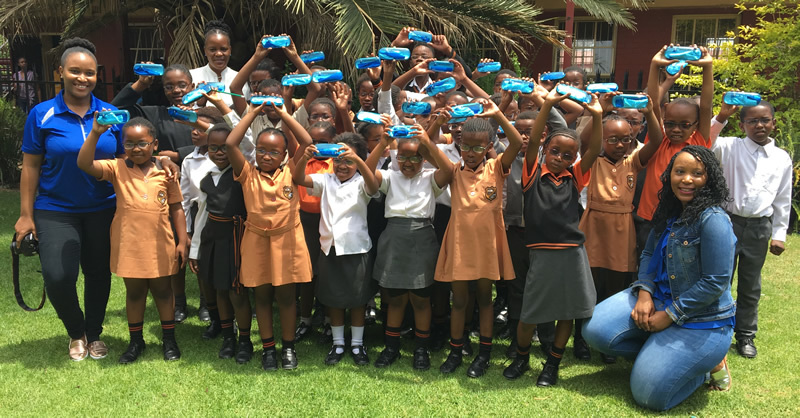 It is for this reason that as part of our Socio economic Development, we partnered with Vision-4-Change and tested over a thousand Emfundisweni Primary School pupils,” said Grace Khoza, Executive Director for Marketing and Corporate Affairs. “We identified more than 40 learners who had eyesight problems and provided each one of them with a pair of prescription glasses to improve their vision” she said. AfroCentric Group is a black-owned, listed entity which provides health administration and health risk management solutions to the healthcare funding industry. In addition, AfroCentric provides a range of complementary services to its traditional medical scheme clients as well as a portfolio of healthcare-related enterprises. These services include IT solutions, transactional switching and specialised disease management. Vision 4 Change is an intervention project aimed at correcting one of the most significant impediments to the education and development of children from disadvantaged communities, which is, as the name suggests, vision. The organisation approach schools either directly selected or identified by the Department of Education in the selected operational area, where they test children’s vision after obtaining the required consent, of course and provide prescription spectacles to those who require it. The primary objective is to make a lasting impact by serving and uplifting the community through welfare and humanitarian work.